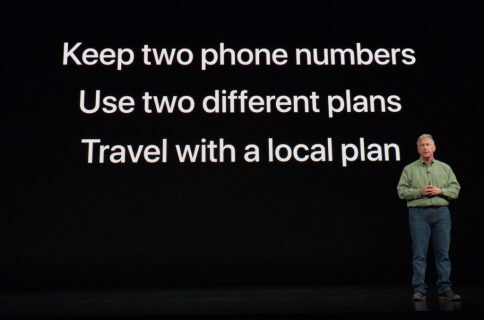 The versatile Apple SIM is coming to more than 90 countries and territories around the world, including much of Europe, offering roaming users affordable cellular data plans and the convenience of changing carrier on their cellular iPad Air 2 or iPad mini 3. 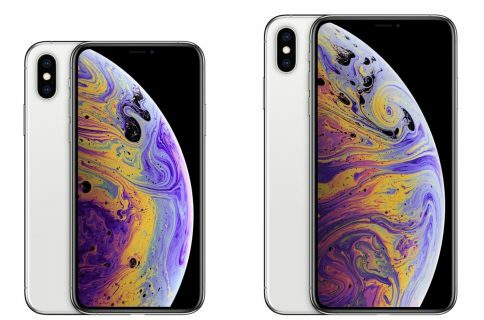 The latest expansions is the result of a partnership Apple signed with GigSky, a company that provides access to a local prepaid data service in markets around the world, at local rates. 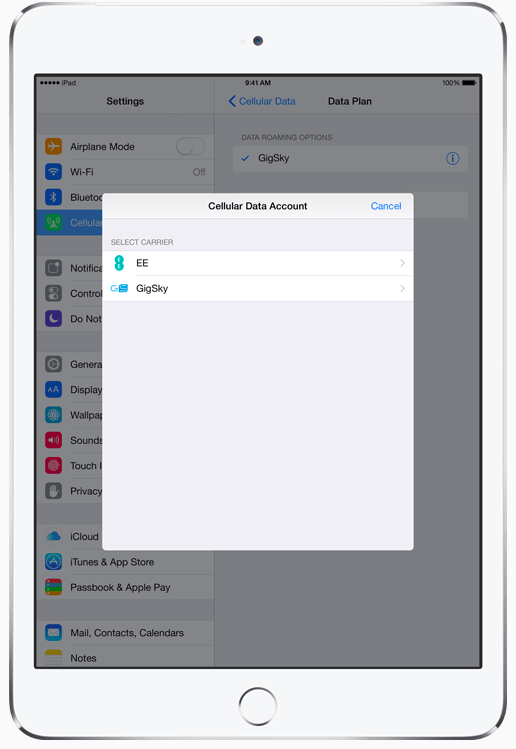 All users have to do is open Settings on their tablet, choose the GigSky option and select their data package. 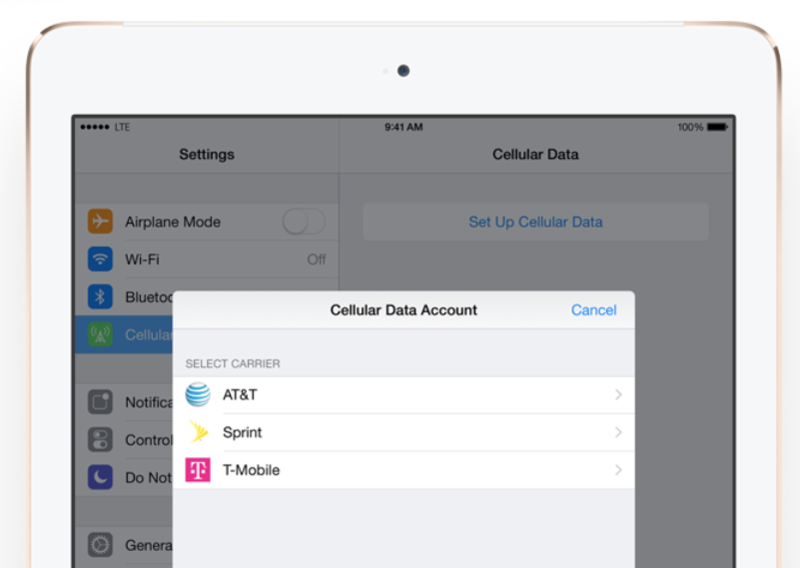 The Apple SIM is pre-installed in Wi-Fi + Cellular editions of the iPad Air 2 and iPad mini 3, and can be purchased standalone at Apple Retail Stores in Australia, Canada, France, Germany, Italy, Netherlands, Spain, Sweden, Switzerland, Turkey, the United Kingdom and the United States. 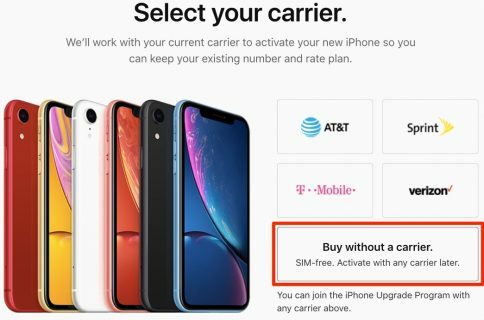 At the time of this writing, the official Apple SIM partners were: T-Mobile, AT&T and Sprint in the United States, EE in the United Kingdom and GigSky internationally. A tourist from France visiting the United States would pay 10 euros (about $11) for 40 megabytes of data which must be consumed over the course of three days, or 50 euros (about $55) for one gigabyte of data over a month. The same French tourist visiting the United Kingdom would be paying 10 euros for 75 MB of data for three days, or 50 euros for three gigabytes of cellular data that must be consumed in 30 days. In Canada 20MB/3 days, 80MB/7days, 120MB/14 days and 250MB/30 days packages are priced at $10/$25/$35/$50, respectively. Prices and data allowances can vary wildly from one country to another. For instance, users in Puerto Rico are paying the same $10/$25/$35/$50 but for larger data buckets providing 40MB/3 days, 200MB/7 days, 400MB/14 days and 1GB/30 days, respectively. Detailed information about GigSky’s plans, coverage and pricing is available here. As cellular iPads are sold unlocked and given that GigSky’s plans are month-to-month, without long-term commitment, world travelers should appreciate the ease of use and the convenience of the Apple SIM in 90 countries around the world.